Because car crashes are the number one cause of death for teens, AAA Hawaii is again hosting “Dare to Prepare” free educational workshops to be held at Oct. 20-22. The workshops are designed to help parents and teens prepare for their most dangerous years on the road. The workshops are open to the public. Each year, 15,000 teens, ages 16-19, are killed or injured in vehicle crashes. AAA has successfully spearheaded laws to place additional life-saving restrictions on Hawaii’s novice drivers, but many parents and teens may be unfamiliar with them. “Dare to Prepare” provides critical information that parents and teens, ages 13-16, need to know before teens take the wheel. The fun, interactive workshop explains to parents and teens why teen drivers crash. It walks families through steps to obtain a permit and driver’s license and provides them tools to help them with the learning-to-drive process. 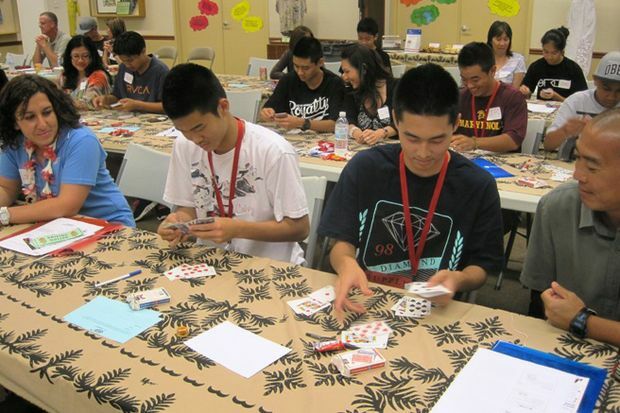 The one-night program will be offered from 6-8:15 p.m. on Tuesday, Oct. 20, and Thursday, Oct. 22, at the Pomaikai Ballrooms at the Dole Cannery, 735 Iwilei Road. Honolulu. The program also will be offered on Wednesday, Oct. 21, from 6:30-8:45 p.m. at Hawaii Okinawa Center, 94-587 Uke’e St., Waipahu. Free parking available. Space is limited, reservations required, and a parent/caregiver must accompany teens. For pre-registration, please go to www.AAA.com/safety4teens by Friday, Oct. 16. More information can be found at 808-529-5027. “Dare to Prepare jumpstarts the dialogue about safe driving between parents and teens. It’s very important because one in five teen drivers will be in a crash during their first year behind the wheel,” said Anita Lorz Villagrana, AAA Hawaii’s manager of community programs and traffic safety.